Definition of family business: though there are many acceptable definitions of family business, for the awards' and Institute For Family-Owned Business (IFOB) purposes it is abusiness wherein one owner either shares ownership or works in the business with at least one other family member (contemporaneously or overtime) and has a commitment to the continuation of the enterprise. Members and future members of the IFOB are encouraged to apply for the awards. You do not need to be a member of the IFOB to apply. Self-nominations are welcomed and encouraged. 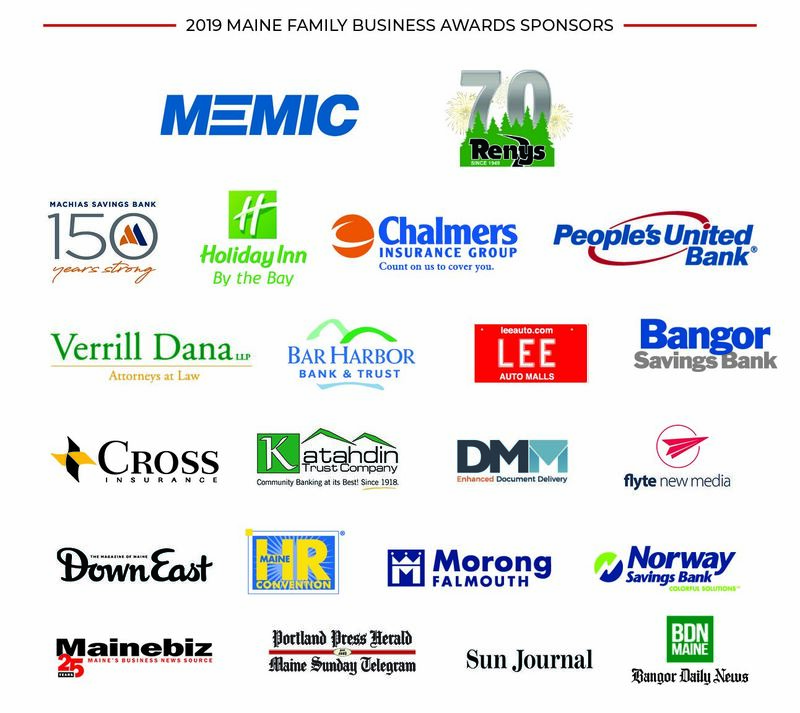 The nominations are open to ALL family-owned businesses in Maine. Family businesses can be nominated for one or more awards, simply pick from the list below for what categories would be the best fit. Businesses can only win once in a category. They can win in others. For a list of past winners click here. Holiday Inn By The Bay First Generation Award: The First Generation honoree is a company of any size, with at least one family member serving as an active equity owner and at least one family member active in the business on a regular basis. The business must not have transitioned yet from one generation to the next. The honoree will be chosen based on overall excellence among the awards listed above. Championed steps towards creating a sustainable/resilient local community through positive solutions that may include energy efficiency, renewable energy, local foods development and innovative modes of transportation.